The Science Team is currently out in the field in the Straits of Florida, on the R/V Walton Smith, sampling with both ISIIS and MOCNESS (Multiple Opening Closing Net and Environmental Sampling System), on an 18-day cruise titled OSTRICH (Observations on Subtropical TRophodynamics of ICHthyoplankton). The overall goal of this NSF-sponsored project is to quantify the patterns and consequences of the fine-scale to sub-mesoscale distributions of larval fishes, their prey, and their predators near and across a major western boundary current passing through the Straits of Florida. By sampling a series of water masses at very high resolution, this study addresses specific hypotheses concerning: i) the drivers of aggregations and patchiness, and ii) the biological consequences of predator-prey interactions at fine scales. Sampling involves a novel combination of detailed in situ sampling of the horizontal and vertical distributions of plankton, targeted fine-scale net sampling, and analyses of individual-level recent daily larval growth to enable the identification of the biological and physical processes driving fine-scale plankton distributions. 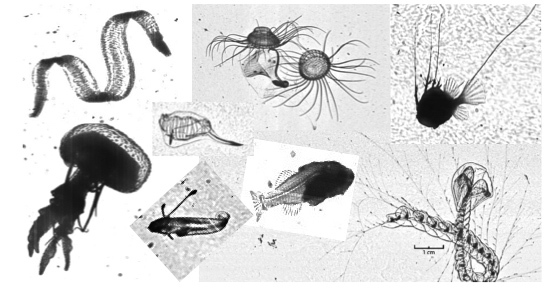 This entry was posted in ISIIS, Oceanography, Plankton, Science and tagged cruise, field, fieldwork, florida keys, Ichthyoplankton, ISIIS, larval fish, Oceanography, plankton, research, sampling, straits of florida, trophodynamics by jessicaluo. Bookmark the permalink.